Albert William Thompson was born in 1896 at Glebe, Sydney, the son of Albert Herbert Thompson and his wife Maud M, nee Barrett. In 1920 at Inverell he married Elizabeth Jane Holman and had three sons and three daughters. He died on 9 September 1976, aged 80, survived by his wife Jane, and was buried at the Anglican Remembrance Lawn atRookwoodCemetery. His headstone carried the AIF symbol. Albert William Thompson served in World War I, having enlisted in Dubbo, NSW. He was a member of the Milk and Ice Carters and Dairymen’s Employees’ Union of NSW, becoming organiser and union secretary from 1926. From 1953 to 1962, he was General Secretary. He was an executive member of the Australian Labor Party from 1935 to 1959 and was a delegate to the Labor Council of New South Wales from 1945 to 1961. Thompson was associated with the National Welfare Fund Association from 1952 to 1959, the Poliomyelitis and Physically Handicapped Society 1958-62, the Foundation for Research and Treatment of Alcoholism 1958-61, and the Manly District Hospital from 1958 to 1961. 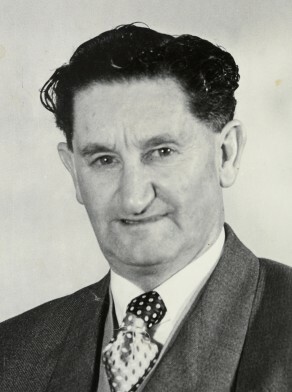 Albert William Thompson was elected Alderman for Fitzroy Ward, 4 December 1948 to 1 December 1950 and for Macquarie Ward, 2 December 1950 to 4 December 1953. Thompson was a member of the City Planning and Improvements Committee, 1949-53, the Finance Committee, 1949-53, the Health and Recreations Committee, 1949-51 and the Works Committee in 1951. He was a member of the ALP.